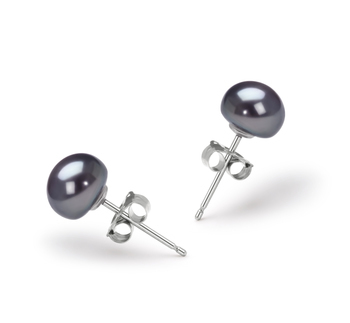 The Black 6-7mm Japanese Akoya Pearl and .925 Sterling Silver Necklace takes the attention off of you and puts it directly on your necklace. 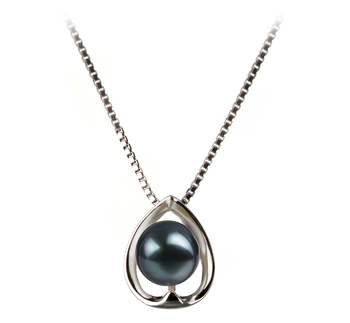 The perfectly sized Black Pearl sits with the medium sized droplet of .925 Sterling Silver Pendant for a classic and elegant look. 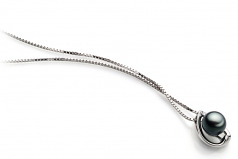 The AAA shape and mirror like luster play in perfect union with the medium sized droplet pendant. Designed as an all over perfect fit, this Pearl Pendant Necklace is a fantastic Choice in all necklaces for all occasions. 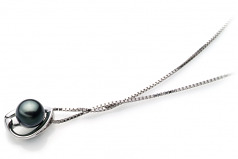 Show only for "Amanda Pendant"